Hi there! Hopefully we are singing your tune here! 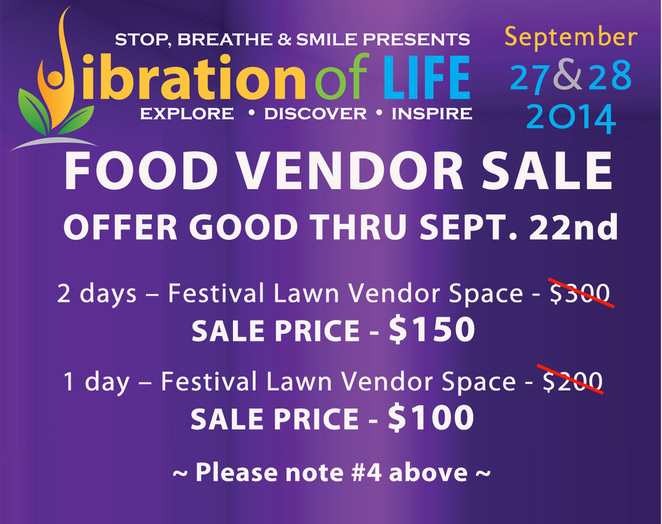 Would you like to be a food vendor at our next Vibration of Life? This is the place to get 'hooked up'. 1. Space is located in the center of activity for both the festival and the concerts. 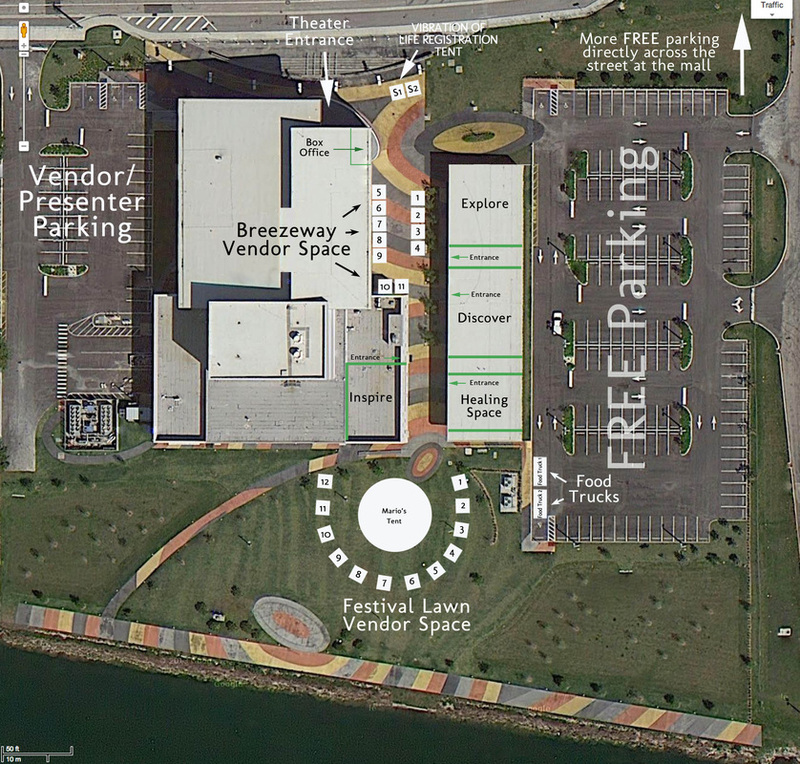 All food vendors will be set up on the Festival Lawn Vendor Space. 2. We will be providing you with a 10x10 tent, 1ea. 8’ table and 2 chairs. Food tents are placed side by side on the festival lawn. 3. You will be included in our marketing plan as we continually announce all the presenters, artists and you the vendors. 4. You will pay one of the fees listed below, PLUS you will be asked to DONATE 10% of sales (CALCULATED BY THE VENDOR through the 'honor system') each day. Don't wait! Click this button to Apply for a vendor spot TODAY! Disclaimer: Application does NOT guarantee your spot at the festival. Your application will go through our selection process and we will let you know within 7 days of submitting your application. Thank You for YOU!